- Supports Oculus SDK 1.3. NOTE: Oculus Home must be installed, running and Oculus Home->Settings->General->Unknown Sources MUST be enabled to allow Minecrift to use the Rift. Forge support requires prior installation of Forge 1.7.10 #1614. Install with the 'Install with Forge' checkbox ticked, then run Minecrift using the Minecrift Forge launcher profile. See the release notes link on the installer for a more detailed overview of changes. Support for Minecraft 1.8.9 is currently in progress, a link will be posted here once complete. - Supports Oculus SDK 0.8. 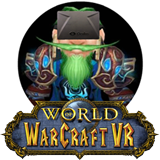 - Install the appropriate Oculus runtime dependent upon supported Oculus SDK. - Load the Minecraft launcher via Minecraft.exe. - In the bottom left select 'Edit Profile'. - Select Use version: release 1.7.10. - Save profile, and hit play to run the game. Quit out. - If you want to use Minecrift with Forge, download and install the appropriate Forge client version. 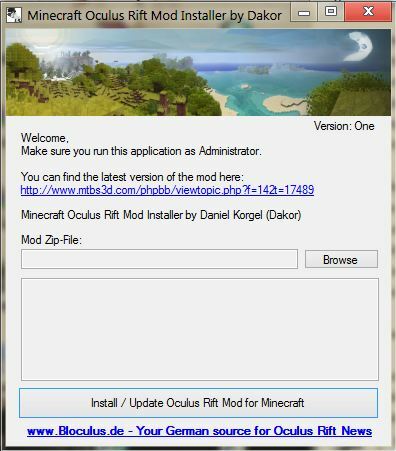 - Download the Minecrift installer exe from the link above. - On Windows, run the installer. On linux or osx, run the installer.jar via the commandline with java -jar <installername>.jar. - If you wish to install with Forge, ensure the 'Install with Forge' checkbox is ticked. - Click OK to install. - Run up the Minecraft launcher. - Select your desired Minecrift profile. Replace .txt with .exe after download. Minecrift is open source. If you'd like to contribute, go to 1.7.10 HERE and 1.8.1 HERE. See the README.md to get started. - Oculus Rift DK1, DK2 support via Oculus SDK 0.4.4 (requires the 0.4.4 Oculus Runtime from HERE). - Built on top of Optifine 1.8.1 HD U B2, 1.7.10 HD U A4 - please donate and click on a few ads HERE, it's a great mod! - DK2 positional head tracking fully supported! - The Forge version is NOT currently working. - Direct mode should be working on 'non-complicated' setups. NOTE: The mirrored window cannot currently be full-screened. NOTE: For Windows users - ensure AERO is enabled if possible (choose an Aero enabled desktop theme). NOTE: Ensure Vsync and triple buffering are set to 'application controlled' in your graphics drivers. - If using extended mode, set the Rift as the primary monitor (and ideally your other monitor set to 75Hz). When running, set Minecrift to fullscreen with F11. - Can crash if render settings are changed in-game. Change the render settings in the out-of-world initial menu if you have problems. - Some fog draw distance render issues. - Hydra support is currently broken. NOTE - This will NOT work correctly with a DK1 or DK2 with the Oculus Runtime installed. It will work correctly with a DK1 ONLY with the Oculus runtime disabled. - Supports Minecraft 1.6.4. 1.7 support will require a major rewrite, so don't expect it anytime soon! - Oculus Rift DK1, HD support via SDK 0.2.5c. - Built on top of Optifine 1.6.4 HD U D1 - please donate and click on a few ads HERE, it's a great mod! - Positional head tracking with Razer Hydra. See the guidelines HERE. - Mouse free-look with keyhole adjustment. - Razer Hydra free-aim controls. - Razer Hydra joystick/button controls. 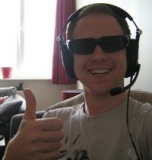 - Oculus Rift Player Profile support. - VR GUI menu with extensive configuration options. - Select Use version: release 1.6.4 (or release 1.6.2). - Download the Minecrift installer exe (Windows) or the jar (Linux / MacOS) from the link above. - On Windows, run the installer. A smart screen filter may appear. Click 'More Info', then 'Run Anyway'. Accept the UAC prompt. - Click OK to install a new Minecrift profile. - On Windows, you may get a dialog that implies Minecrift failed to install correctly. Select 'The program installed correctly'. - On Windows, IMPORTANT: You'll need to download and install the MSVC++ 2010 redistributables if they aren't already installed (vcredist_x64.exe or vcredist_x86.exe if you are using 64bit or 32bit Java for Minecraft, respectively. Download and install both if you are unsure as to which you need.). - Run up the Minecraft 1.6 launcher. - Navigate to the 'Local Version Editor (NYI)' tab. - INSTALL FORGE BEFORE MINECRIFT. Otherwise start with a clean Minecraft install. - Run vanilla Minecraft (of the version the same as the Minecrift version, e.g. 1.6.4) at least once. See above. - Download the latest Forge version (e.g. for 1.6.2 - 9.10.1.871 from HERE). Select (Installer). - On Mac or Linux, double click the jar to run it. - When done, install Minecrift as above. Check 'Install with forge' with the appropriate forge version selected. OK. (If Forge is not installed there will be no entries available in the dropdown). - Now load up the Minecraft launcher. Select 'Edit Profile'. - It is also recommended to select 'Launcher Visibility: Keep the launcher open' to allow debugging of launch issues. - Click Save Profile. You should now be ready to play Minecrift with Forge enabled. Please add feedback in this thread. Minecrift development is now Open Source under the LGPL license! Check out the github page to toy around or create new features. mabrowning will be very willing to accept pull requests! The recommended way to install Minecrift for 1.5.2 or 1.4.7 is use the magic launcher, which is available for Windows, OSX, and Linux. Download Optifine HD D3 (D5 has not been tested, but may work), but don't extract. Please click a few ad links or donate and get yourself an Optifine cloak, they do some great work. Download the JRift.jar, Sixense.jar from the 1.5.2 link above. Download the minecrift_classes.zip from either the 1.4.7 or 1.5.2 link, depending on the version of Minecraft you want to patch. Click the 'Setup' configuration button. Click 'Test' to make sure it works. When satisfied, click 'OK' to Save the configuration. From now on, just start Magic Launcher and use the "minecrift" configuration to play! In addition, you will need to update LWJGL to the latest version. Older versions will probably not work. Version 1.0 is the first to include full Razer Hydra support. * OrientationTracker: If you don't have an Oculus Rift, you can use the left controler for head orientation (direction). * PositionTracker: This makes a huge immersion difference. The Hydra can feed position data the game engine to allow you to look up, down, around corners, squat, and generally move around. 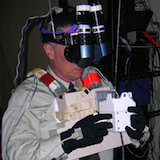 Use one or two controllers attached to your head and adjust the offsets from your eye center on the VR Options. You should be able to take advantage of the new 1.5 inventory management controls with this joystick mapping. Joystick sensitivity can be set in VR Options. Last edited by StellaArtois on Mon May 16, 2016 5:18 am, edited 160 times in total. Great work seems your mod is in the front page of the Minecraft forums! make sure if you havent done so to perhaps make a forum post in the mod section of the minecraft forums as well as a lot of the minecraft mods are listed there and even those without a rift may be interested to see the videos and may convince them to want to get interested in the Oculus Rift. thanks so much you might want to also suggest to people they may wish to use the MultiMC mod that can install sepereate versions of Minecraft in folders so that users could have a Rift version and then the normal non rift version as well if needed just a thought . Minecrift Installer is Outdated, please use MagicLauncher or the official Launcher instead! I spent some time last Night to write an Installer for this awesome Mod. - If you have Minecrift not installed, your current minecraft.jar will be regarded as clean. 4. Install Minecrift with the 'Create new minecraft_clean.jar' option unticked! - If you used Version Five+ or less before, you will need to reinstall Minecrift (=redownload a vanilla minecraft.jar), because the new Version saves a clean copy of the minecrift.jar, for fast switching between Oculus/Normal Mode. - Depending on the current State (Minecrift activated or deactivated) the minecraft.jar is either the clean or the Minecrift one. If you can't find the minecraft_clean.jar but a minecrift.jar, Minecrift is deactivated. The Other way, if you only find minecraft_clean.jar but no minecrift.jar, Minecrift is currently activated. - Check for Visual C++ Redistributable for Visual Studio 2012 is now fully implemented! - For setting the Environment Variables, the applications needs to be run as Admin. Please give feedback in the other Thread, if everything works for you. Last edited by Dakor on Tue Oct 15, 2013 6:00 am, edited 19 times in total. EDIT: REMOVED. OSX installation should now use Magic Launcher. See main post at top. Last edited by StellaArtois on Wed Jun 19, 2013 2:57 am, edited 4 times in total. Last edited by Nyrad2k on Sat May 11, 2013 7:52 am, edited 1 time in total. EDIT: REMOVED. Use Magic Launcher installation as in the top post. Last edited by StellaArtois on Wed Jun 19, 2013 2:56 am, edited 1 time in total. StellaArtois you are killing it with these updates! How are you liking the Rift? But seriously that's awesome man congrats! I'm happy to let you in to the front of the line for all the work you've done! I don't have my Rift yet either but this is one of the threads I'm following and reading every post, and will probably be one of the first games I try when I finally get mine! Yea, we need to get Stella a Rift STAT. Now I really wish I started my modding attempts BEFORE I got my my Rift, not waiting till I get it, haha. Well-deserved. They did send one direct to the Minecraft guys, so this move doesn't surprise me; they must have realised they got the wrong address! I followed the manual install guide but when I start minecraft I'm stuck on updating minecraft and done loading. Did you remember to remove the META-INF folder from minecraft.jar ? No I reset everything and did it all again but now I just get black screen after login. EDIT: I followed the instructions in the read me inside the downloaded files rather than the post here. Works a treat now. Last edited by anthonyp461 on Sat May 18, 2013 6:08 am, edited 1 time in total. Excellent, glad it works for you guys! Thank @PyramidHead76! Windows XP not working since it requires .net4.5 ? Sorry, I totally forgot that .Net 4.5 is not supported on Windows XP. Since I don't use any 4.5 features (It's set by default on VS2012), I can upload a Version with .net4.0 or less for you. If you don't use the installer it should work for you as well. How to play Minecrift using an Xbox 360 controller. 3.After running the .exe file there should be some new folders in the directory. 4.Delete or move the .exe file which you just used. 4.Extract Xpadder Profiles.zip and move it´s contents in to the profiles folder. 6.Accept every upcoming popup message. 7.Click the little Xbox controller in the top left of the screen, click "open" and select the "My XBOX 360 For Windows (Controller).xpaddercontroller" file you previously placed in the profiles folder. 8.Click the little document icon in the middle of the screen, click "open" and select the "Minecraft.xpadderprofile" file you previously placed in the profiles folder. 9.Open Minecraft to play it using an Xbox 360 controller. Big Left Trigger: Use Item/Place Block/etc. Let me know if this works for you guys. I have problems using the Minecrift Windows Installer Six+. I can´t select/brose any .zip, because there are no zip-files. I Know where my miencraft.jar is, but the installer won`t let me select it. You need to download the zip file from the first post in this thread. The installer didn't work for me either, I installed it manually and got 0.25 (the version sans optifine) to work. Running on a Retina Mac Book Pro, OS X 10.8.3. Based on the stacktrace I think that my OpenGL driver is missing some feature being used by minecrift. Just FYI: I tried running this with Optifine only to make sure the problem wasn't there. Doing so works, though I have to disable the Advanced OpenGL features or the framerate is abysmal. YAY!!!!!! it works! you gotta make sure you download the V2012 exe and install it first otherwise you'll get a black screen no matter what you do! thanks! Odd as it may sound, it somehow seems that using Optifine causes rather massive slowdowns on both my machines. I used to test Minecrift on my Macbook Air running Windows 8 and while the framerate wasn't to write home about, it felt smooth enough. With testing 0.26 and Optifine, however, it barely hits 10fps. Testing on my iMac (Core i7, 16GB RAM, SSD) I get up to 10fps as-well, although somehow vanilla Minecraft runs tediously slow on it too (15fps on average). Could anyone by any chance give me a pointer as to what to do to make Optifine smoothen out the experience a bit? I've already tried the usual suspects (view distance, disabling all AA-related things, etc. ), but to no avail. I'm experiencing the same stacktrace, same OS version but on regular Macbook Pro hardware. I did everything you said regarding installation with the magic launcher. I didn't seem to prove any errors. However the game doesn't display in stereoscope and I was wondering if a rift needs to be attached to the computer for it to work or am I doing something wrong? Any response would be appreciated. I don't have my rift yet but I am testing applications first so that I don't have to mess with them when the rift does actually arrive. So I wonder if not having it attached is a factor. The game wont go into stereo mode until you load the world and dive into gameplay. However it's highly likely that it will only work with the rift plugged in, though i'm not sure. EDIT: Solved my own problem, thanks google! Ay chances you could make minecrift compatible with the ShadersMod?